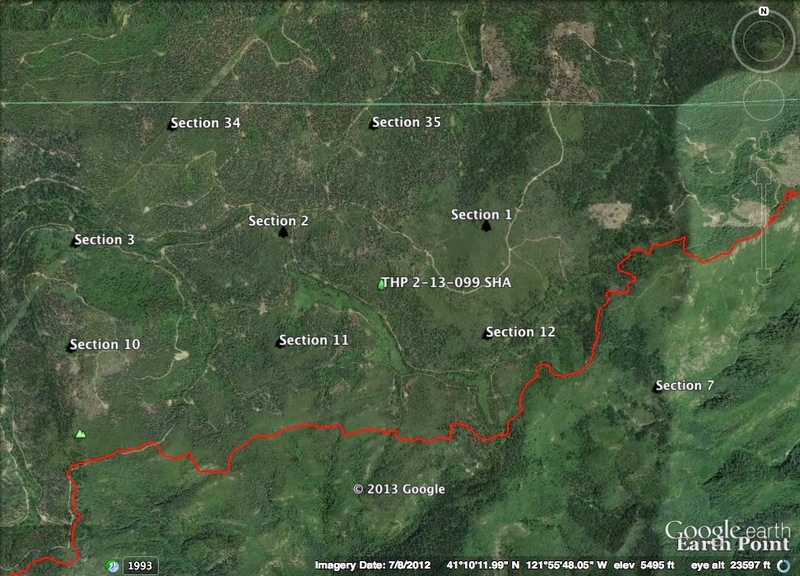 THPBlog: Hearst Corporation to sanitation salvage log near the Pacific Crest Trail. Hearst Corporation to sanitation salvage log near the Pacific Crest Trail. This THP is about 11 miles SE of McCloud, CA near the Pacific Crest Trail which passes through sections 7, 10, 11, 12. The Hearst Corporation is planning a tractor based logging operation in mixed conifer forests, and is claiming the need for sanitation salvage logging due to infestations of mistletoe and Cytospora canker, and also wind damage. There are 17 landslide terrain features in the THP area including debris slides and earth flows. Road S6000 is proposed for use within a class II watercourse. Seven road drainage sites are planned for work including rocking, dip construction, and culvert repair/replacement. More information is available on the THP Tracking Center website.